Here’s the “mystery episode” that was alluded to in the progress bar. I’m sure some of you predicted this, hopefully no one’s expectations were ruined too badly. I thought about doing a training course episode before, but parts of it conflict with how I’ve been playing through the game, trying to make it seem more realistic. This episode is a compromise between not doing it and going through the whole thing. I’ve been informed after the fact that the creator of “Barney’s Mind” did the exact same thing of showing the training course after being unconscious, but it was just a coincidence on my part. 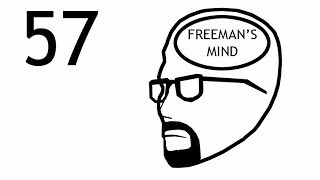 When I originally created Freeman’s Mind I received a few emails from people who told me they were thinking of doing or had done the exact same thing, so I guess coincidences are inevitable. 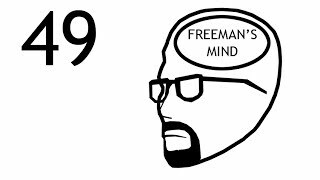 I’m going to try and keep up Freeman’s Mind on a weekly rate for a while, but I eventually may slow it down some as I don’t want to neglect Civil Protection either. In either event, I don’t think I’ll have situations again soon where I go months at a time without a release. At least not until FM is done anyway. 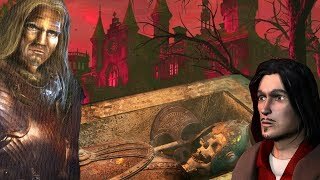 It looks like the video was darkened again for Youtube and uploaded at 1280x720 again, despite the source being requested at 640x360. Ah well, the downloadable copy will look correct once I encode it.